Also available are 30% glass filled nylon ornamentals that can be spray painted. 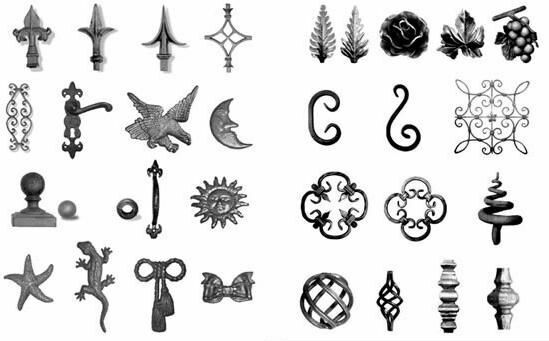 Various finials and scrolls that can be mounted on either 10mm, 12mm or 25mm square bar are available. Scrolls mount on 12mm square bar secured by screws and plates supplied with each scroll. Optional weld, U and flat brackets for mounting finials are also in stock.